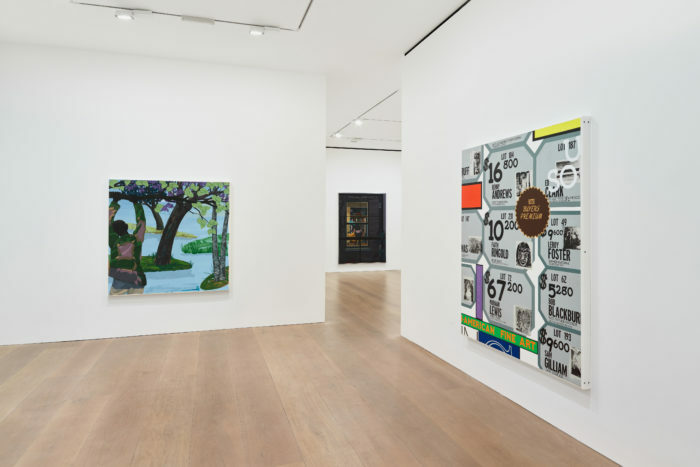 David Zwirner is pleased to present Kerry James Marshall: History of Painting at the gallery’s London location. This will be the artist’s first exhibition of new work since his critically acclaimed retrospective, Mastry, and his second solo presentation with the gallery. Through its formal acuity, Marshall’s work reveals and questions the social constructs of beauty, taste, and power. As the artist has written, “I gave up on the idea of making Art a long time ago, because I wanted to know how to make paintings; but once I came to know that, reconsidering the question of what Art is returned as a critical issue.”1 Engaged in an ongoing dialogue with six centuries of representational painting, Marshall has deftly reinterpreted and updated its tropes, compositions, and styles, even pulling talismans from the canvases of his forebearers and recontextualizing them within a modern setting. At the center of his prodigious oeuvre, which also includes drawings and sculpture, is the critical recognition of the conditions of invisibility so long ascribed to black bodies in the Western pictorial tradition, and the creation of what he calls a “counter-archive” that reinscribes these figures within its narrative arc. In the works on view, Marshall moves through a progression of conceptions of paintings as objects that are created, exhibited, and circulated, not only examining the formal evolution of the medium, but equally taking into account the history of our relationship with it. In Black Boy (2018), the artist revisits a basic exercise that is many children’s first introduction to making art and specifically to the idea of converting language into image. Here, he has covered a ground of randomly applied, brightly hued paint with a thick layer of black paint, into which he has scratched the letters b o y, and then connected them to form the outline of a boy’s head. 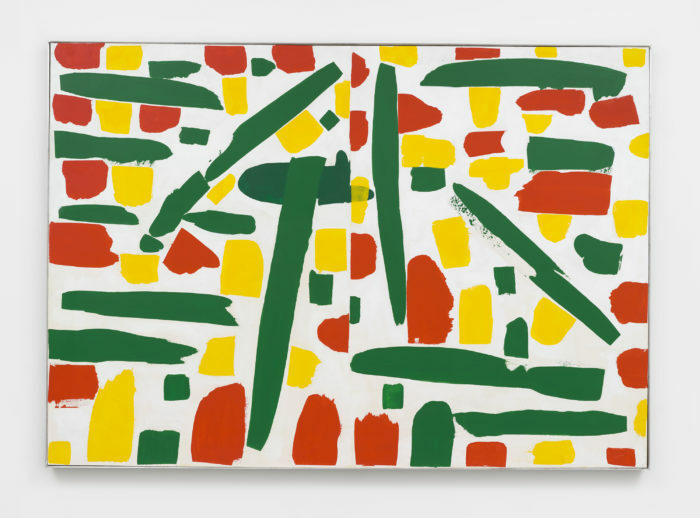 In other works, Marshall foregrounds the ways in which paintings can come to express meaning. While some are experienced by viewers as sensory phenomena—for example, the large-scale canvas Untitled (Large Colours)(2018), in which Marshall fulfills French artist and writer Maurice Denis’s famous definition of paintings as merely flat surfaces covered with lines and colors in a specific order—other works, such as the identically sized Untitled (Underpainting) (2018), convey complex themes through their structure and content, requiring a different level of engagement. In the latter painting, Marshall begins with a layer of burnt umber paint, an underpainting technique frequently utilized by Renaissance masters to impart a warm brownish glow to the composition that is subsequently applied. 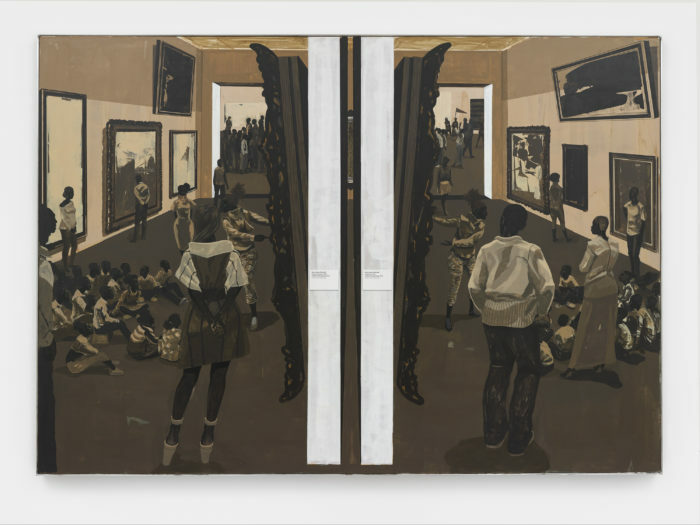 In the image, black figures populate a salon-style museum, presumably arranged in accordance with an established art historical narrative. Groups of schoolchildren receive instruction, as other visitors look intently at artworks, while still others take in the whole scene. Through this tableau, Marshall both acknowledges the ways in which the history of art is told, while questioning the place of black bodies within this pedagogy. Finally, a group of paintings takes as its subject the way in which artworks are exchanged, emphasizing their ultimate fate as commodity. 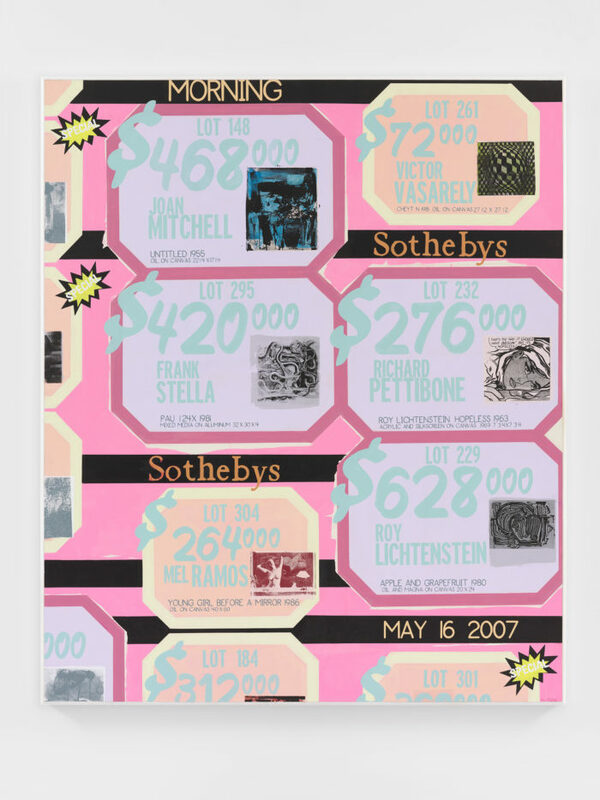 Appropriating the format of the supermarket circular, Marshall replaces the everyday goods that would ordinarily be promoted on such fliers with auction results, each from a different auction house and day in early 2007, when the market had reached an apex. One painting depicts results from Swann Auction Galleries, notably one of the only houses to offer a sale of African American artists, while others make evident the relative absence of women from such contexts. Embedded within is a series of purely aesthetic formal choices that are in direct contrast with their content—for example, the invocation of color theory or a riff on neo-plastic composition that unconsciously affects the lens through which these works are seen. Titled History of Painting, they call attention to how value is created and assigned and how it influences the writing of history. A fully illustrated catalogue, including new scholarship by Teju Cole and others, is forthcoming from David Zwirner Books. 1 Kerry James Marshall, “Foreword,” in Kerry James Marshall (New York: Harry N. Abrams, 2000), p. 9. 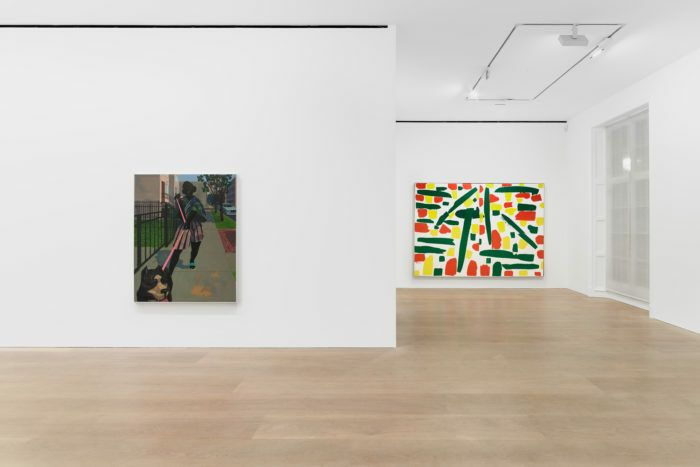 2 Kerry James Marshall in conversation with Angela Choon, Luncheon(Autumn/Winter 2018–2019), pp. 80, 83. Kerry James Marshall (b. 1955) received his BFA from the Otis Art Institute in Los Angeles in 1978, where he was later awarded an honorary doctorate in 1999. Marshall has exhibited widely throughout Europe and the United States since the late 1970s and early 1980s. 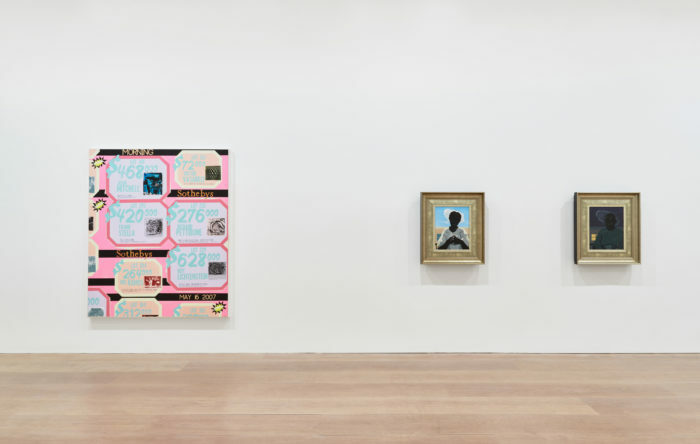 This year, Kerry James Marshall: Collected Works was presented at the Rennie Museum in Vancouver and Kerry James Marshall: Works on Paper at The Cleveland Museum of Art. His site-specific outdoor sculpture A Monumental Journey was also permanently installed in Hansen Triangle Park in downtown Des Moines, Iowa. 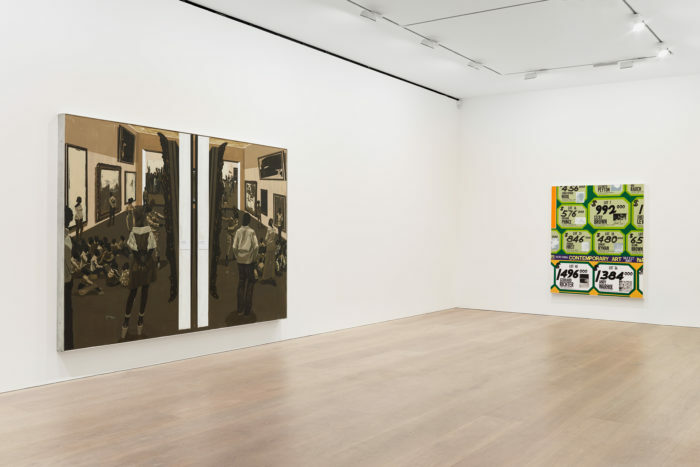 From 2016 to 2017, Kerry James Marshall: Mastry, the first major museum survey of the artist’s work, was on view at the Museum of Contemporary Art Chicago, followed by The Met Breuer, New York, and the Museum of Contemporary Art, Los Angeles. In 2015, he created a large-scale mural specifically for the High Line, marking the artist’s first public commission in New York. 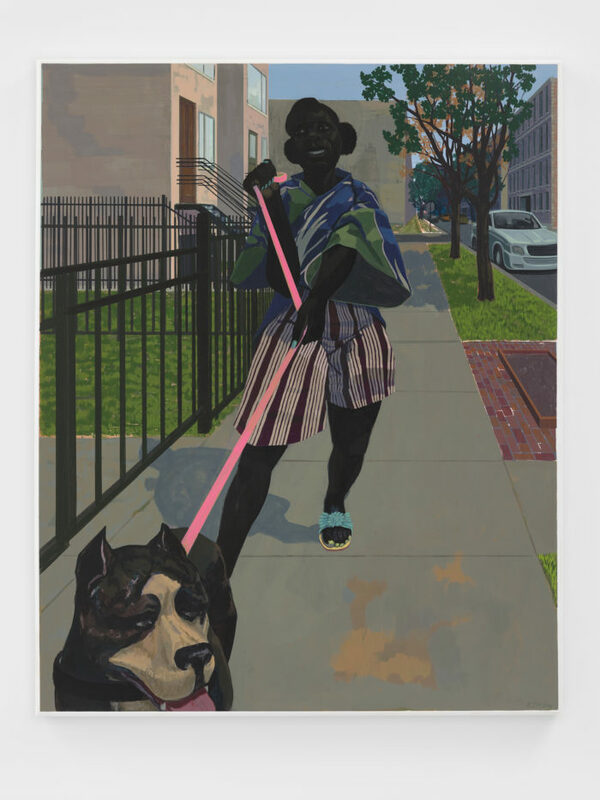 In 2013, his work was the subject of a major survey entitled Kerry James Marshall: Painting and Other Stuff. The exhibition was first on view at the Museum van Hedendaagse Kunst Antwerpen in Antwerp. In 2014, it traveled to the Kunsthal Charlottenborg in Copenhagen and was co-hosted by two venues in Spain, the Fundació Antoni Tàpies in Barcelona and the Museo Nacional Centro de Arte Reina Sofía in Madrid. Marshall was the 2016 recipient of the Rosenberger Medal given by The University of Chicago for outstanding achievement in the creative and performing arts. In 2014, he received the Wolfgang Hahn Prize, an award given annually by the Gesellschaft für Moderne Kunst at the Museum Ludwig in Cologne. In 2013, he was one of seven new appointees named to President Barack Obama’s Committee on the Arts and the Humanities. Other prestigious awards include a 1997 grant from the MacArthur Foundation and a 1991 fellowship from the National Endowment for the Arts. His work is held in prominent museum collections worldwide. © David Zwirner, London U.K. E.U.